Financial authorities in Hong Kong and Abu Dhabi are to work towards a cross-border trade finance network built on blockchain. 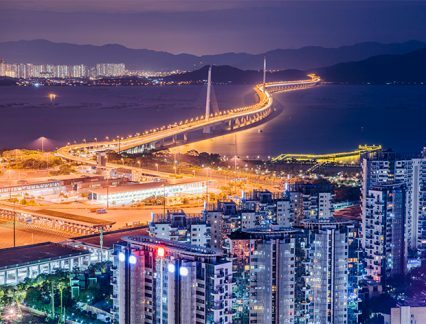 The project will be part of a wider fintech collaboration between the Hong Kong Monetary Authority (HKMA) and the Financial Services Regulatory Authority (FSRA) of Abu Dhabi. Few details have been made public, but HKMA’s chief fintech officer, Nelson Chow, has said the bodies will start a dialogue “to build a cross-border trade finance network using distributed ledger technology”. It’s the latest such agreement the HKMA has entered into with another monetary authority. With the Monetary Authority of Singapore (MAS), it is well down the line in developing a blockchain-based cross-border trade finance platform as part of the Global Trade Connectivity Network (GTCN), a wider trade facilitation programme. The GTCN has a go-live target of early 2019, but as recently as last month, Chow was unable to give a concrete description of what the initial functionality would be when asked by GTR. Hong Kong is also launching its own trade platform on blockchain in September. The National Trade Platform builds on a number of blockchain proofs of concept the authority has undertaken, as well as two whitepapers it has authored, which explore the technology’s potential in trade finance. As well as making moves to work on blockchain, the FSRA has also started experimenting with cryptocurrencies. In June, it launched a regulatory framework for trading crypto assets.